Recently I have come across with this announcement by Mr. Piyush Goyal, Hon’ble Minister of Power, Government of India wherein he spoke about government’s plan to introduce electric vehicles in a big way. It might leave you to wonder as to why I am talking about electric cars when there is no relationship between TBEAEI and electric vehicle industry as such. Friends, today’s world of counter-dependency not only requires us to see the immediate opportunities but also the events happening far way having potential to translate into direct opportunities through a chain reaction. Imagine the electricity requirement when India’s entire fleet of fossil-fuel vehicles transcends into electric vehicles; imagine the ensuing pressure to expand and maintain generation, transmission and distribution infrastructure; imagine the pressing requirement for power equipment; and think TBEAEI there. Friends, the opportunities are ample and I believe in you in making TBEAEI realize its full potential by taking it to great heights. So I request and suggest each employee to work for TBEA principles and pillars. First of all thank you to all employees for great contribution for H-1 of this year. Now as compared to H-1 2016 we did a positive change in H1 2017 for Production, Sales, Profitability and Order booking, I am really happy to see great change in growth cycle of our business. But at same time we could see a lot of challenges and failures on plan v/s actual, attributed many things from our sides and few other things from the other area which is not attributed to us. 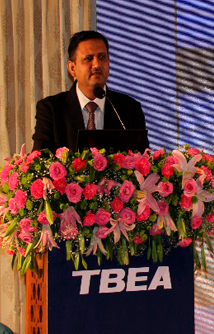 My sincere request to each employee involved in TBEAEI to get into the details of the gap in H-1 and do some Innovation and Creativity to come out quickly as H-2 is being very challenging, demanding and asking run rate is very high month by month in Production, Procurement, Drawing approval, testing and Dispatch in order to meet given targets by TBEA group and TBEASY for achieving sales & profitability of 2017. Also my request to each employee to put their best dedication and timely efforts in achieving TBEAEI target without any integrity issue. As safety and integrity are like oxygen and there won’t be any tolerance. My sincere request to each employee to follow the ethics of TBEAEI and work in direction to meet target. 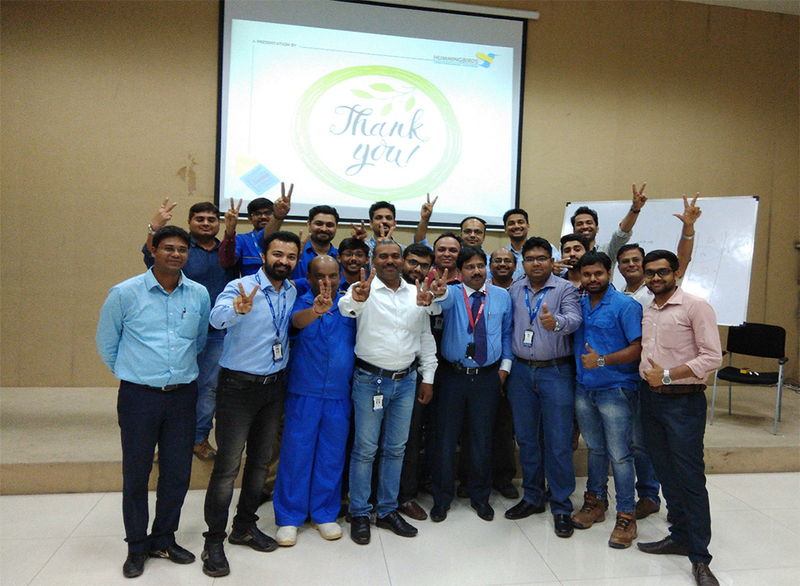 We also initiated celebrations like Uttarayan, Garba and Birthday celebration in order to build a team which we will continue in future with the help of each individual employee. Customer connection and Vendor management are the two major way to grow ourselves which I request to our team to keep improving in this front. At last my sincere thanks to all employees and family member for their contribution for our great journey so far & I wish to get similar support in future for “More” “Better” “Together” in 2017 and 2018 also. TBEAEI along with Hyosung has been awarded for best category for setting up manufacturing base in short time under our Prime Minister Vision of “Make in India”. 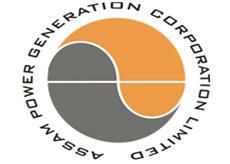 TBEAEI received order for the supply of 220/33KV, 25 MVA Generator Transformer for evacuation of power of 13.5 MW Myntriang Hydro Electric Project at 100 MW KLHEP switchyard, Amtreng, Assam Power Generation Corporation Limited (APGCL). 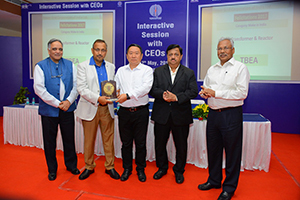 This is a twofold achievement being our 1st direct tender in North-East India and 1st generator transformer in name of TBEAEI. The successful running of any business requires continuous support from the local administration. So why not do our bit to facilitate their functioning! Karjan (South Gujarat) is known for severe heatwaves during summers, but the administration has to run without any respite. 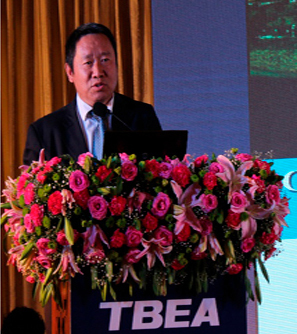 TBEAEI commends local administration’s 24/7 and as mark of respect donated a standard size cooler of a reputed manufacturer to the local police station which found enthusiasm and appreciation. 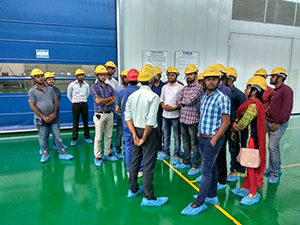 During May 2017, the local office of the Customs Department, Government of India paid a visit to TBEAEI factory and acquainted themselves with various business and operational aspects of TBEAEI. In today’s times of aggressive competition & continuously rising pressure to enhance efficiency & productivity, all organizations need to invest in developing the Leadership skills amongst people at all levels across the organization, in order to grow. While the Leadership at top-most levels is crucial to give right direction & strategy for this growth, it is the Middle and Junior Level employees that enable the fulfillment of this strategy. With this backdrop, Management Development Program (MDP) titled “Essence of Effective Leadership”, was organized by HR department, for Middle & Junior Management Staff, on 21-April-2017. This program was targeted to help today’s Managers identify & learn two important levels of leadership i.e 1) Managing & Leading self & 2) Leading Others, in order to become effective leaders in future. The team of 22 participants from TBEAEI were sensitized on important skills like time management, interpersonal skills, importance of understanding business environment, team building, leadership styles, influencing skills & monitoring / reviewing skills. Every woman must have a right to be free from sexual harassment and the right to work in an environment that is free from any form of sexual harassment and TBEAEI is committed to creating a safe and healthy work environment that enables its employees to work without fear of prejudice, gender bias and sexual harassment. TBEAEI believes that all its employees have the human right to be treated with dignity and accordingly TBEAEI has adopted a policy against sexual harassment of women employees. With this policy in place, it is expected to raise the morale boost of the women employees and will also encourage more women participation in TBEAEI. 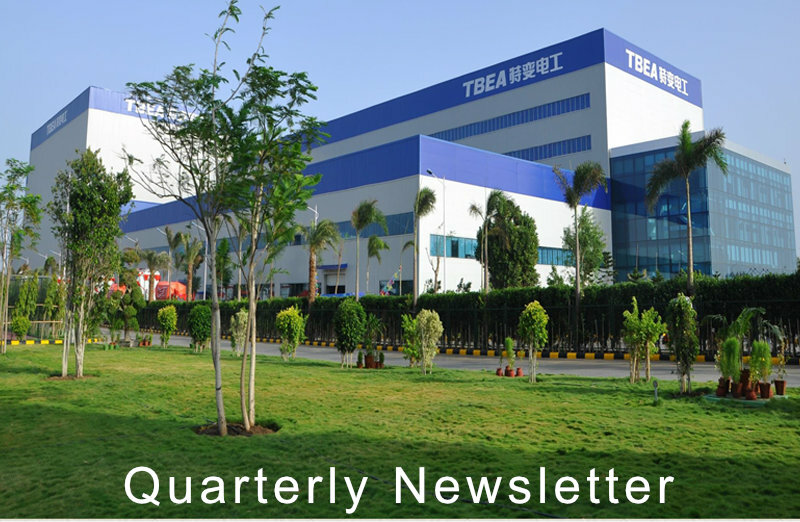 We sincerely hope that this newsletter will not only be informative but also motivating. We will be continuously engaging ourselves in augmenting the contents as well the coverage. We will heartily welcome if you have any suggestion to abhirup.ghosh@tbeaindia.com with a copy to rutvik.patel@tbeaindia.com.